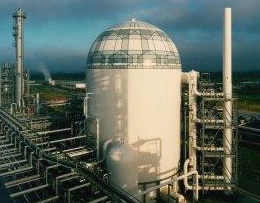 Bilfinger Noell GmbH supplies containments for increasing the safety in the chemicals sector. Here, the containment prevents toxic gases produced as intermediate products in a number of chemical process from leaking. The scope of supply also covers man air locks for accessing the containment. For this spin-off project, we have transferred our expertise in nuclear plant engineering to the industry.